New longitudinal research has found that a husband’s disapproval of his wife’s friends increases the chances of divorce — but only for White couples. The study was published in the Journal of Social and Personal Relationships. “In my work studying the intersection of social networks and marriage, I often read that one of the health benefits of marriage is thought to be the joining of two social networks, because individuals then have access to more social ties and social support — sometimes known as ‘marital capital,'” said study author Katherine L. Fiori of Adelphi University. Roughly 36 percent of the White couples and 55 percent of the Black couples had separated or divorced within the first 16 years of marriage. 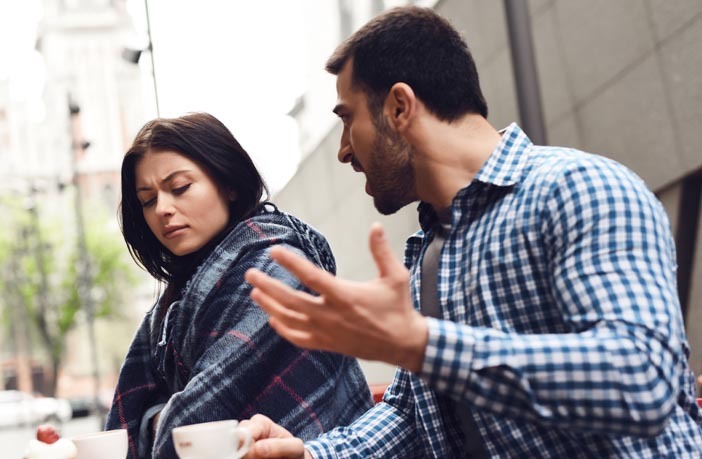 The researchers found that husbands who expressed disapproval of their wives’ friends at the beginning of the study were more likely to have been divorced 16 years later. This relationship held even after controlling for potentially confounding factors, such as income and marital quality. “Although having a larger support network can be beneficial, merging two separate sets of family and friends can be a challenging process for couples. The biggest takeaway here for married couples is that working on your marriage does not mean just focusing on your relationship with each other; it’s also about considering your relationships with your friends and family (those you have in common and your own),” Fiori told PsyPost. However, a husband’s disapproval of his wife’s friends only predicted divorce among Whites couples. Why was this relationship not found among the Black couples? “It may be that interactions with family are more relevant for the stability and happiness of Black marriages than for White marriages. In fact, our own work has shown that Black couples are more likely to be embedded in networks focused on family than are White couples, who are more likely to be embedded in friend-focused networks,” Fiori explained. “However, interference from friends (a more ‘proximal’ variable measured at Year 2 rather than Year 1 in our study), was a strong predictor of divorce for both Blacks and Whites – implying that they are not immune from these effects,” Fiori said. The researchers also found that a wife’s disapproval of her husband’s friends, on the other hand, did not predict divorce for either White or Black couples. “This is likely the case for a number of reasons. First, we know that wives can more easily take over for men’s friends (e.g., doing activities together) than husbands can for their wives’ friends (e.g., engaging in emotionally intimate conversations). Related to that, husbands tend to rely on wives more for support than wives depend on their husbands — wives typically rely more on close friends,” Fiori said. “Furthermore, wives are much more likely than husbands to discuss their marital problems with their friends, which, over time, may make any existing marital concerns worse and could actually increase the likelihood of divorce. Whether or not wives are actually making their marriages worse by complaining to their friends may not be relevant, since it’s the husbands’ perceptions of the wives’ interactions with friends that seem to play an intrusive and potentially detrimental role in the marriage,” Fiori explained. “Unfortunately we did not have information from the friends themselves, so we weren’t able to tease out that possibility in the present study,” Fiori said. Future research could further explore what types of friendships cause problems in marriages, Fiori said. “This issue may become even more salient given recent historical changes in the way that courtship operates, as outlined in Aziz Ansari and Eric Klinenberg’s book ‘Modern Romance,'” Fiori added. “That is, when you think about courtship historically, people used to be introduced to potential partners through their friends and families, or they would meet people who lived in the same building or on the same block — in that sense, they often already shared much of their network. With the rise of online dating, people are frequently introducing two entirely distinct group of friends – making this ‘merging’ that much more challenging,” she said. The study, “‘I Love You, Not Your Friends’: Links between partners’ early disapproval of friends and divorce across 16 years“, was authored by Katherine L. Fiori, Amy J. Rauer, Kira S. Birditt, Christina M. Marini, Justin Jager, Edna Brown, and Terri L. Orbuch.